Home/Art/Made in Italy/Tourism/Travel/Rome The center of the Christian faith. Rome The center of the Christian faith. The center of the beginning of the civilized world. Rome abounds with reminders of its mighty Republic and Empire. 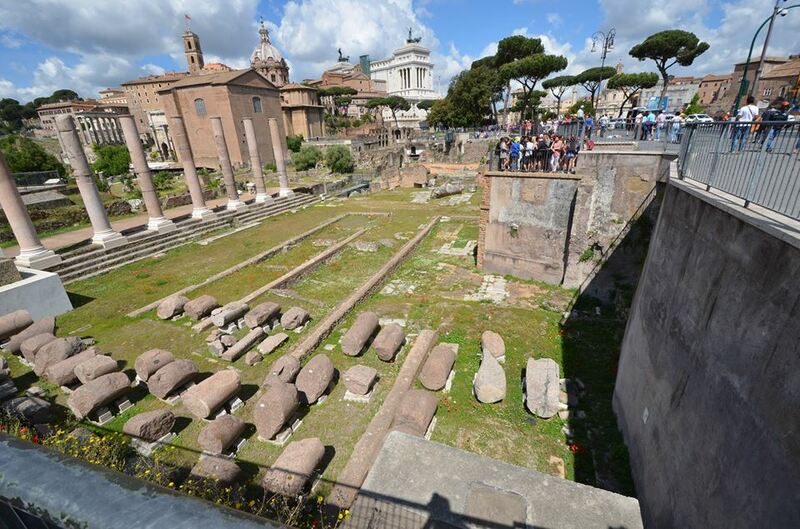 Everywhere you look you’ll find remnants of one of the most powerful civilizations on earth and one of the most well-known ancient Romans of all time, Julius Caesar. 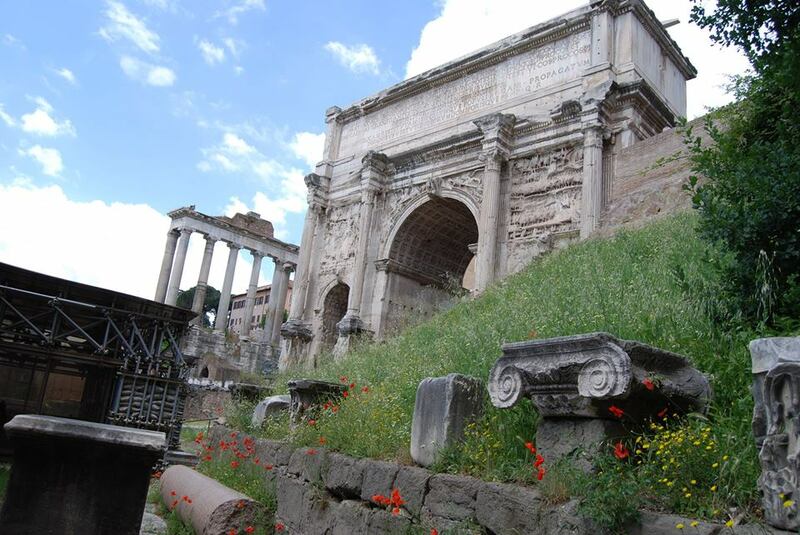 Today, we take a trip back in time, to the Forum Romana, Roman Forum. Through the temples, basilicas and public buildings. We’ll walk along the Via Sacra. We stop by the ruins of the once majestic Basilica Amelia Look around. Inhale a deep breath, close your eyes and let yourself drift back in time. Let the modern sounds of the city evaporate. Listen as the chatter of tourists and tour guides mingle into Latin. The tread of modern shoes morph to the sound of sandaled feet on the paving stones of the Via Sacra. The voices you hear are those of the ancient Romans, the politicians, the merchants, the plebs, the slaves. Glance up the Via Sacra and you’ll see the mighty Gaius Julius Caesar approaching. His clients following in his wake as he heads to the Curia (Senate house). Look towards the House of the Vestal Virgins and the Temple of Vesta and catch sight of these honored ladies, the keepers of the flame of Rome. Looking to the Rostra you can listen to the famous orator Cicero. Famous Romans abound in the forum. Over there by the Temple of Saturn is Cato. Through these ruins walked many who made Rome into one of the world’s most powerful civilization. As you walk through these ruins, let your imagination wander, imagine seeing Augustus, the First Emperor of the Roman Empire. You’ll see Marc Antony, Caligula, Claudius, Pliny, Cataline, Nero, Hadrian, Trajan, and possibly the famous philosopher Empire Marcus Aurelius. Imagine the splendor of the buildings: The Temple of Vespasian, the Arch of Septimius Severus, the Temple of Antonius & Faustina, and all the other wonders to be discovered here. 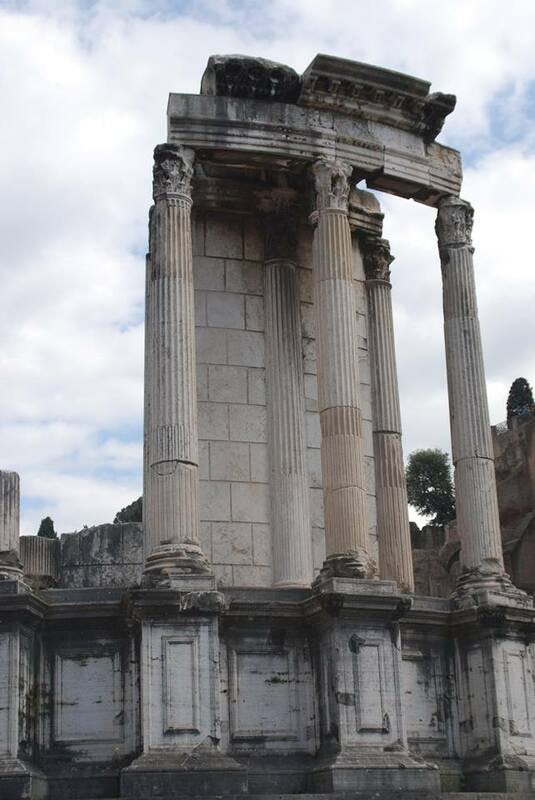 The forum is a wonderful place to visit despite the throngs of tourists. Take your time strolling through it and let your imagination drift back a couple thousand years to when it was in its splendor. We at Great Italy can help you to walk with Caesar and Cicero, and all the others of ancient Rome when you visit.